One study is proving that the real gateway drug is actually legal, and has been proven to lead to harsher drugs at an astounding rate. For years, government officials and anti-cannabis organizations have cited cannabis as being the most dangerous gateway drug on the market today. This means they firmly believe cannabis use will lead to the use of much harder, more potent drugs. The myth has been debunked many times over, and one study is proving that the real gateway drug is actually legal, and has been proven to lead to harsher drugs at an astounding rate. Many of us have experiences with alcohol before we’re old enough to drive, not knowing what we’re actually putting into our bodies. However, when it comes to cannabis, many first-time users shy away from a joint or bowl, believing the false propaganda portrayed in films and public service announcements. 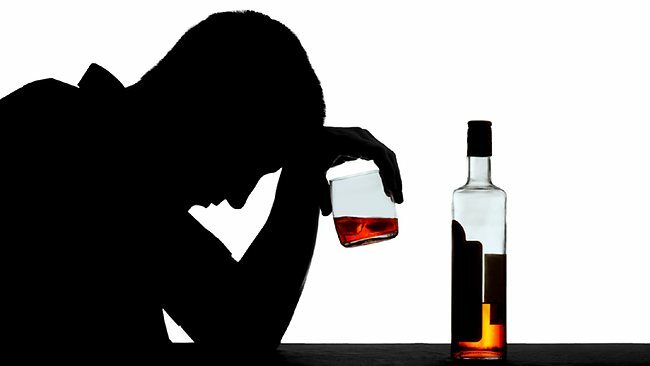 What we fail to realize is that alcohol is a poison, there’s no way around that. It is the leading cause of more than seven different cancers, can cause dependency and predicts future substance abuse by 92%. Cannabis, however, cures cancer, has no traits of physical addiction and has been disproven to lead to future abuse of other drugs. To prove this theory, Adam E. Barry began researching the effects of alcohol on the teenage population. He discovered, teens that use alcohol, even once, are 13 times more likely to use cigarettes and cocaine. I think these results have to do with the level of access children have to alcohol, and that alcohol is viewed as less harmful than some of these other substances. It’s logical to assume that if children have access to alcohol, a legal drug that is not warned against as heavily as cannabis, they will be more likely to experiment with drinking before consuming cannabis. So where did all this misleading information come from? Dating back to the 1930’s, and the release of propaganda like Reefer Madness, the government has drilled into citizens’ heads that cannabis is dangerous and just one hit will leave users trapped inside their own minds, unable to control their thoughts, feelings and experiences. Pretty scary stuff. However, no scare tactic film ever seemed to mention how drinking excessive alcohol can literally shut down vital organs without warning. Fighting this kind of misinformation has been one of the hardest battles facing the cannabis legalization movement. With new studies being released almost daily proving the contrary, the population is finally beginning to realize our government and officials have been lying all these years. Barry believes his research has helped to clear the air of some of these unfounded claims and opened the publics’ eyes to the truth. That’s why we wanted to study this. The latest form of the gateway theory is that it begins with marijuana and moves on finally to what laypeople often call harder drugs. As you can see from the findings of our study, it confirmed this gateway hypothesis, but it follows progression from licit substances, specifically alcohol, and moves on to illicit substances. By beginning the research at alcohol, and not cannabis, Barry was able to prove that alcohol is the real gateway drug. This new research is sure to gain criticism by naysayers who still believe propaganda from 80 years ago, but without a doubt will help to broaden the horizons of some.